With so many great places to eat in Vancouver, it can be somewhat overwhelming, especially for those unfamiliar with the city. Sure, one could do what I do and plan their day (or trip, if you were a tourist) solely around eating. However, to make it easy, a food tour could do the job. Granted, there are many to choose from and I have yet to try any other than the ones offered by Vancouver Foodie Tours. So I won't go into the discussion of which one is the best. Rather, I can only speak of my personal experience regarding my latest invite. A few years ago, I had the pleasure of going on the inaugural Vancouver Foodie Tour of Granville Street. At the time, that particular tour was sponsored by Downtown Vancouver and it was priced far below cost. Then I followed this up with the Richmond tour and more recently (last year), the World's Best Street Eats Tour. Although they are no longer sponsored, the prices are still reasonable considering everything involved. 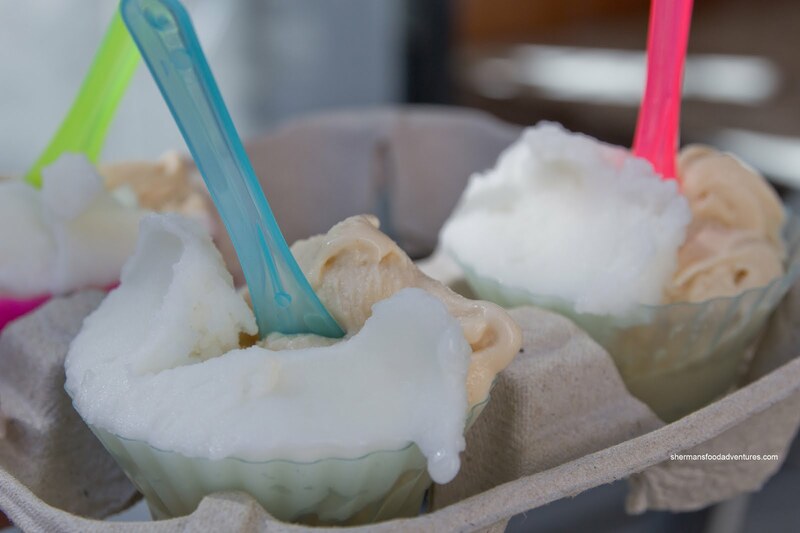 With the Richmond and Granville tours are not operating at this time, there are 2 choices including the food carts and the new Guilty Pleasures Gourmet Tour. I was invited to experience this tour (at no cost to myself) by Michelle Ng (who runs Vancouver Foodie Tours). We started this tour at the Downtown location of Kirin. 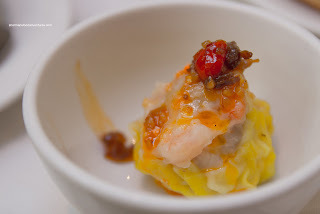 Now, if you read this blog on a consistent basis, you know my thoughts about Dim Sum in Downtown. 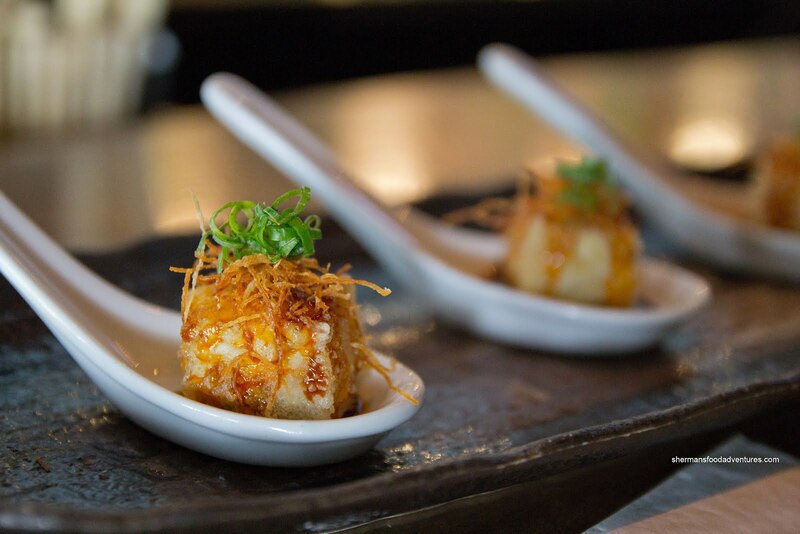 With that in mind, the tour is based in Downtown and for what it's worth, there are only 3 choices for upscale Dim Sum. Therefore, Kirin is not a bad choice. We had 2 items here starting with the Sui Mai. The shrimp and pork dumpling was quite good. With large whole crunchy shrimp and bouncy pork pieces, the sui mai hit all the right textures and flavours. A dollop of XO sauce made this a tasty bite. 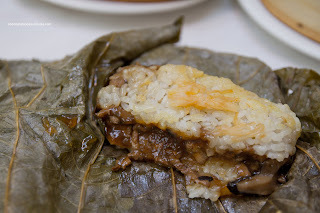 Our second item was a Mini Lo Mei Gai or sticky rice wrapped in lotus leaves. Within the dried scallop-topped sticky rice was a concoction consisting of pork and shiitake mushrooms. This was also very good with moist rice and a filling which was both plentiful and not devoid of seasoning. After Kirin, we made the stroll over the Sutton Place Hotel where we paid a visit to the Sutton Place Wine Merchant. 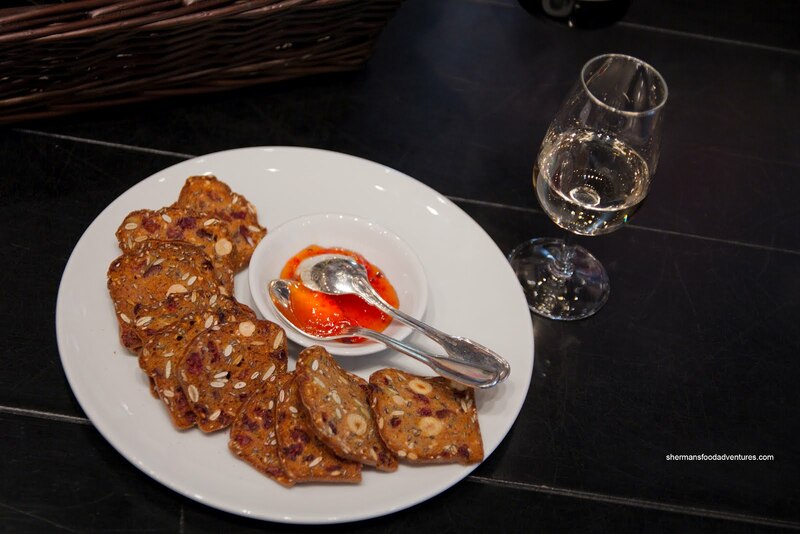 Here we were served a glass of Domaine de Charberton Bacchus (local winery in Langley) which was accompanied by some crisps and pepper jelly. Although it was nice to sample wine and take a look at nice selection at the store, this was a peculiar addition to the tour. It seemed like too much time to kill at a venue which we really didn't need to be at for more than 10 minutes. However, once we crossed the street and headed over to Ensemble Tap, I knew we were in for a treat. 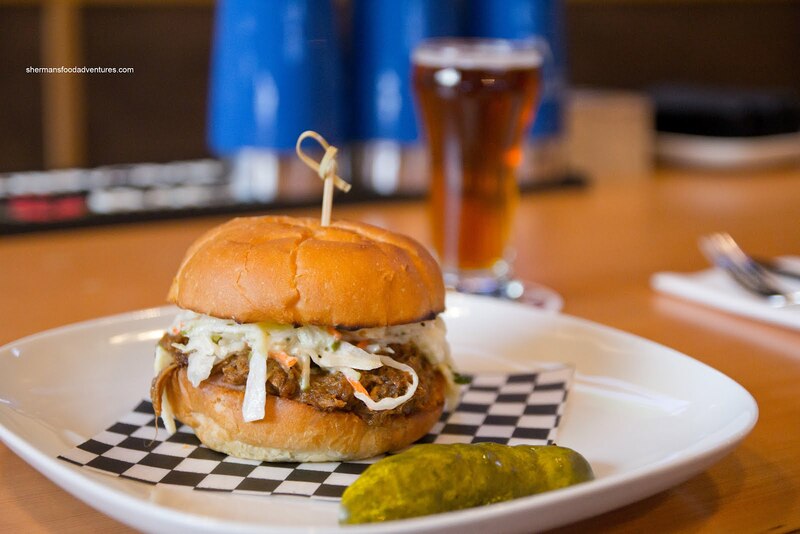 That "treat" happened to be Dale MacKay's Top Chef winning Pulled Pork Sandwich paired with a glass of Red Truck Ale. For those who have been living in a cave or are not from Canada, Dale MacKay was the winner of inaugural Top Chef Canada competition. He opened up Ensemble Tap as a more casual spot to compliment his finer dining establishment Ensemble, which is located only a block and a half away. As for the pulled pork sandwich, I liked it the first time I had it at Ensemble. Since the pulled pork was prepared in a pressure cooker, there was no expectation of any smokiness (such as being prepared in a smoker). However, the pork was still moist and flavourful with a hint of horseradish. The side of Red Truck Ale didn't hurt things either. Once we finished up at e-Tap, we made the walk onto Granville Street to visit ShuRaku (which was in the original tour). Part Izakaya, part sushi bar, this hybrid Japanese restaurant serves up little bites to go with their extensive sake selection. As such, we got an overflowing serving of Granville Island sake to go with our 2 bites. The first item was the Agedashi Tofu which was fried up beautifully crisp with just enough "sauce" for a touch of salty-sweetness. 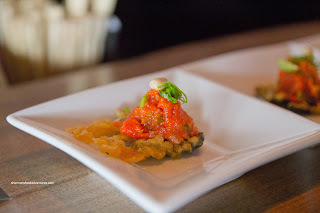 Then we had probably the best little bite on the tour being the Spicy Wild Salmon Tartar on a tempura crisp. The only bad thing about this tasty morsel was that there wasn't more. After this, our tour ultimately ended at what is regarded as the best gelato in town - Bella Gelateria. We had a combination of Salted Caramel Gelato and Meyer Lemon Sorbetto. I've had both of these flavours before and this was a fitting end to our tour. The gelato was smooth and creamy with a good hit of flavour whil e the sorbetto was refreshing and balanced. 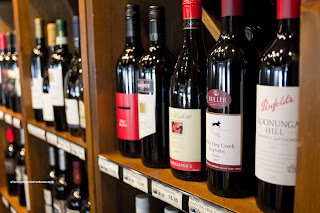 - Not sure about the wine stop, maybe something else would be better?